The following information is provided by the Center for REALTOR® Development, with assistance from Lauren Hampton and the Podfly editorial team, and is a recap of Center for REALTOR® Development Podcast Episode 19. In Episode 19 of the Center for REALTOR® Development Podcast, host Monica Neubauer talks with Chris Donaldson about the importance of effective communication skills. Donaldson is a real estate broker, popular keynote speaker, teacher, business coach, entrepreneur and leadership expert. A businessman with a teacher’s heart, everything Donaldson touches begins and ends with the goal of helping his colleagues and students achieve what they want. Jumping into the world of real estate while still just a college student, he quickly transitioned his love of teaching to become one of the youngest certified real estate instructors ever in his home state of Louisiana. Now the CEO of Donaldson Educational Services, CEO and founder of Donaldson Training Solutions and an active broker, his daily mission is to make life and careers better for real estate professionals at any stage. Communication is a skill that is critical to any professional, but to real estate professionals in particular. 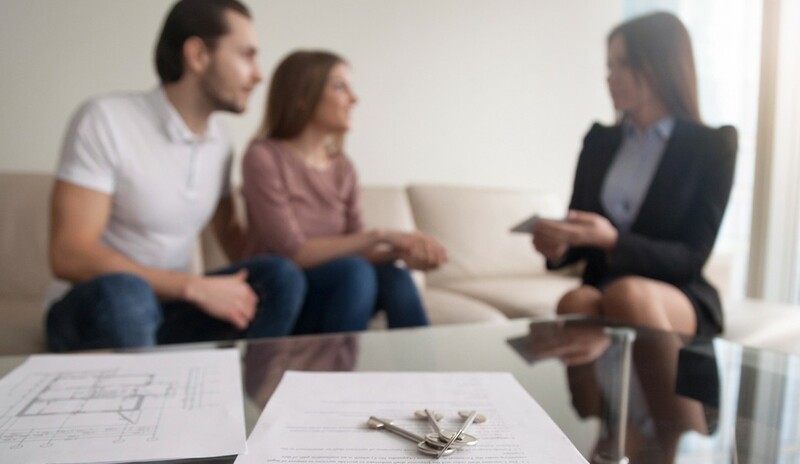 Because property transactions depend so heavily on human needs and interactions, this broad soft skill is one that can make or break your success. Here are some of Donaldson’s best tips and highlights from the episode. There’s nothing more frustrating than getting a blind message. When communicating in text or email, make sure the people you are communicating with know who you are—that is, make sure the text or email you send has some type of name or signature so the recipient knows who you are, and can get back in contact with you immediately depending on the situation. Make it easy to let people know who you are and get in touch with you. One of our big goals as REALTORS® is to reduce resistance and process “friction” for our clients. Evaluate the systems in your business to see what you can do to make things easier for your client. There are as many personality profiling tools as there are ways to communicate. One popular system is the DISC profile, which is a personality and behavior profiling assessment which sorts people into 16 different categories, or types. Another similar tool is the Myers-Briggs Type Indicator, which also has 16 types. Regardless of the system used, all personality types have different proclivities and preferences for communication. Some will be direct communicators, and others will be more thoughtful or indirect. You’ll have to learn to be able to work efficiently and effectively with all of these different types of people. You don’t have to be like everyone you work with—but you do have to be able to communicate with all of them professionally. Remember that we have to be professional 24/7 when it comes to communicating via technology. Just because we’re not speaking with someone face-to-face, it doesn’t mean our tone can’t be interpreted or perceived as rude. This is something to be aware of as you’re communicating with your clients and other people in the business. Early in the relationship, begin by treating communication formally, and then once you’ve established the relationship, bend to the communication cadence and style of the other person. A good rule of thumb that Donaldson uses is to not say anything (especially in writing or digital media) that would come back to haunt you, or that you would be embarrassed to have other people see. As long as you stick to this rule at all times, you don’t ever have to remember or worry about anything you’ve communicated. You may need to rely on several different types of communication to relay the same message. If you’re sending along attachments, or maybe an offer, you may also want to send a text or give them a quick call to let them know those things are on their way. Neubauer refers to this as the “trifecta” of communication. Waiting on only one method of communication could cost your client a deal or become a compliance issue, depending on the state in which you’re licensed. “One of my tips is multiple lines of communication when things are important, and when in doubt, communicate! Don’t assume the other person doesn’t want to hear from you,” urges Donaldson. Email is an especially sticky or unreliable form of digital communication. Things can get lost in transit or translation, and it’s very easy to make a typo when entering an email address that could cause your email not to get to its intended recipient. There are also many third-party systems that handle email, and you could potentially unsubscribe from emails that might be important. Donaldson shares a tip: Separate your business and personal worlds in your email. Make sure your real estate-related items are going to a separate place from any personal emails to help ensure you’re not missing important information you need. This will also help you compartmentalize distractions during the day and help you maintain a consistent tone for business versus personal emails. It is also important to keep your clients updated, regardless of what’s going on. Neubauer talks about a template-type email that could be sent the same time each week that keeps clients in the loop, or template emails that can be used at each stage of the transaction process. This could potentially save you a lot of time not having to reinvent the wheel. Donaldson shares an example of a daily follow-up, and the “‘no update’ update.” If you’re working with a client on an issue, make sure you update them on the progress. Even if you don’t have an answer, let them know you’re still working on it so they don’t wonder about it. This also enhances your emotional intelligence in working with clients—and, as Neubauer points out, when you get an email, make sure you send a quick reply to acknowledge the email, so the recipient doesn’t worry unnecessarily if it got delivered or not. “delegate”: get things to the appropriate party right away. Don’t use your inbox as your to-do list. The third one is “do”: respond to things that are time-sensitive, but also take time each day to make sure you are responding to emails that need your attention. There are apps in the app store that manage emails that may have more features than the ones that come with your phone. For much more information and to hear the great conversation (no pun!) between Neubauer and Donaldson, check out the episode at whatever podcast marketplace you use, or check out the links below. Center for REALTOR® Development’s monthly podcast focuses on education in the real estate industry. It addresses formal education programs (such as those from NAR) and informal sources of industry knowledge (such as peers and mentors). Its intended audiences include REALTORS®, real estate professionals, allied professions, educators, education providers and consumers. To listen or subscribe, visit www.crdpodcast.com.